All around Australia, gym-goers are yelled at by enthusiastic exercise class instructors to go harder and faster. But, that can be pretty tough to follow if you’re Deaf. Self-described Hobart gym freak Jarran Harris was born without hearing. 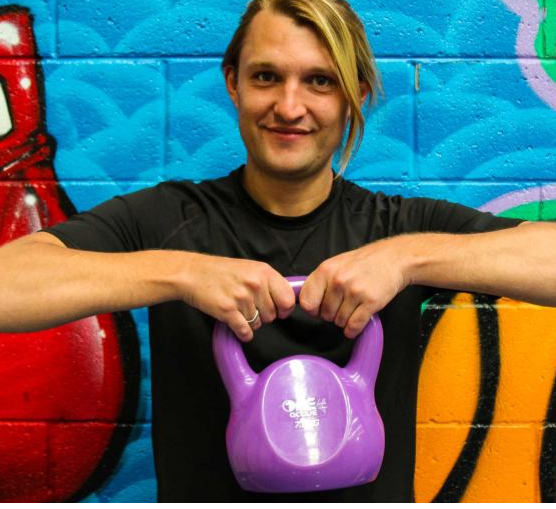 The 27-year-old is combining his passion for fitness with his skills Australian sign language (Auslan) to instruct gym classes for the Deaf.The free classes will be trialled for six months at Hobart’s PCYC, which received support from the Hobart City Council to establish the classes and provide free membership for participants. It’s believed to be an Australian first. To get the class pumping, Mr Harris will use Auslan to explain the moves along with emphasised expressions. He said Deaf people would feel more comfortable participating in the class if it was run by a Deaf person. There are about 500 Deaf people in Tasmania.